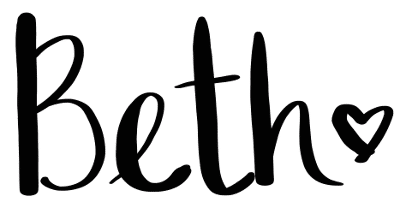 I have a crochet bucket list, have you? I probably won’t get to some of the items on my list until my kids are in school all day, but I’ve got one! I bought the pattern for these crochet hatching turtles last year, but I finally decided that this week was the week to finally make them. 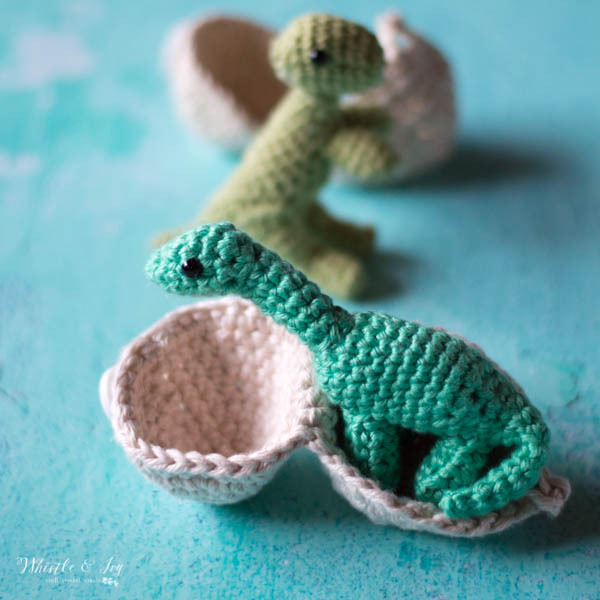 My kids have been champing at the bit to play with their new toys since they saw the pattern photos(they have been treasuring their crochet hatching dinosaurs and it warms my heart). 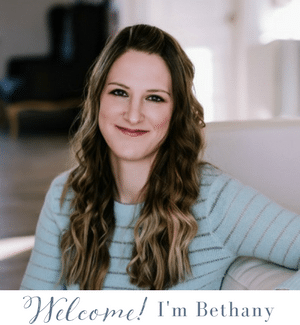 The pattern is designed by Meredith from Mostly Stitchin’. It’s so clever and just too adorable! I can’t even with those little baby bug eyes! Until May 16th, get the pattern for 20% off! Use code TURTLE426516 at checkout. 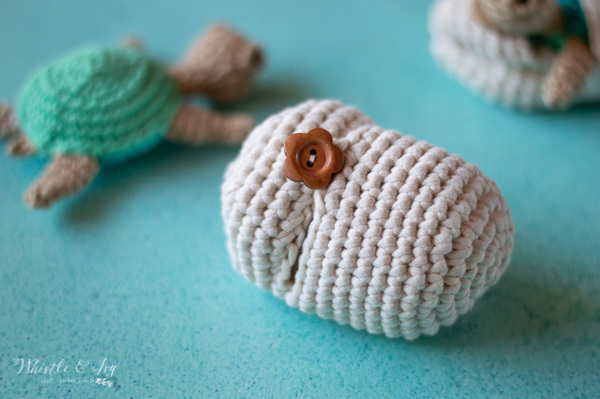 The design is quite clever, the way the crochet turtles are sewn together hides any messy sewing (my hand sewing skills are quite lacking). I would say this is an advanced beginner project. 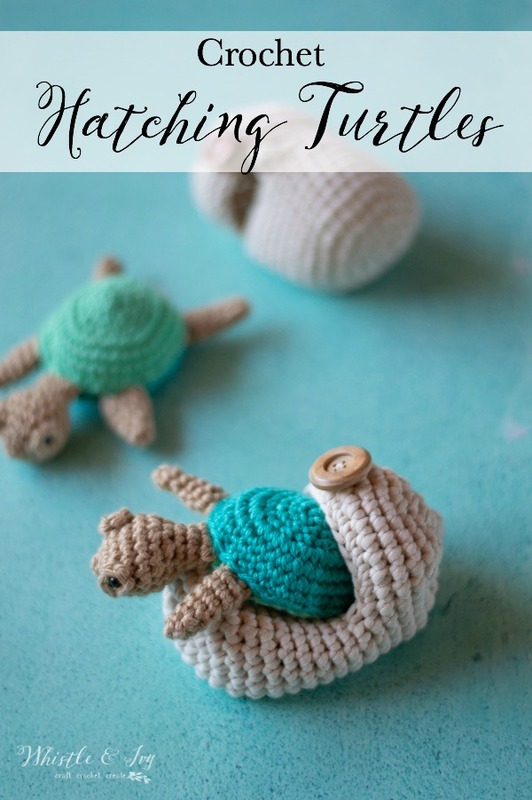 If you are solid on basic stitches, you can definitely make these cute crochet hatching turtles. 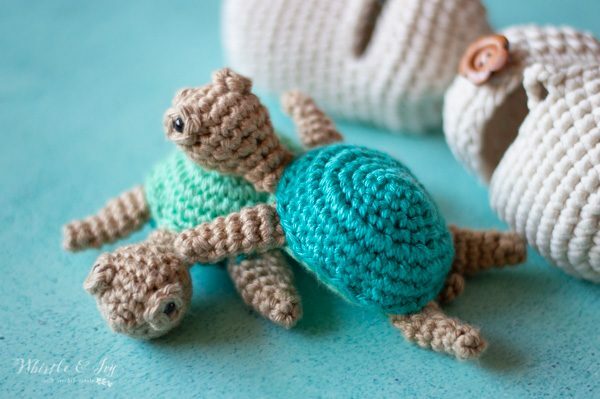 I used Knit Picks Shine to make these turtles in Reef, Pistachio and Willow. Shine is a lovely cotton/beech wood blend, and the colors are perfect for these little turtles. My kids are obsessed with the shells. I am telling you, these are perfect for kids age 3-6: In and out, in and out! I added a button as per my kids’ requests. I also realized halfway through that I didn’t have enough Ivory Shine to make the eggs so I improvised and use Bernat Home Dec. It worked out wonderfully! The chunky yarn makes the eggs nice and sturdy. I did modify the pattern slightly so the eggs weren’t enormous. It just made for a faster project! I’ve mentioned before, The Boy carries his hatching dinosaur (Pat) everywhere, but I think Pat is about to be bumped into the 2nd favorite spot. He’s been brainstorming name ideas ever since he saw me working on these turtles. 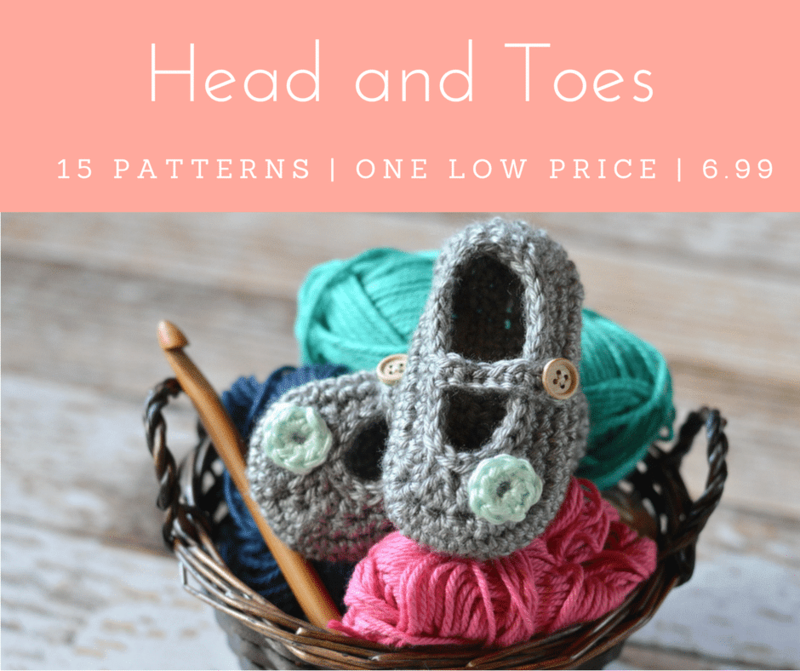 Be sure to snag the pattern up for 20% off, use code TURTLE426516 at checkout. And check out the Boy’s beloved Pat (and Sis’s Rexie, but Rexie is not as beloved at Pat). 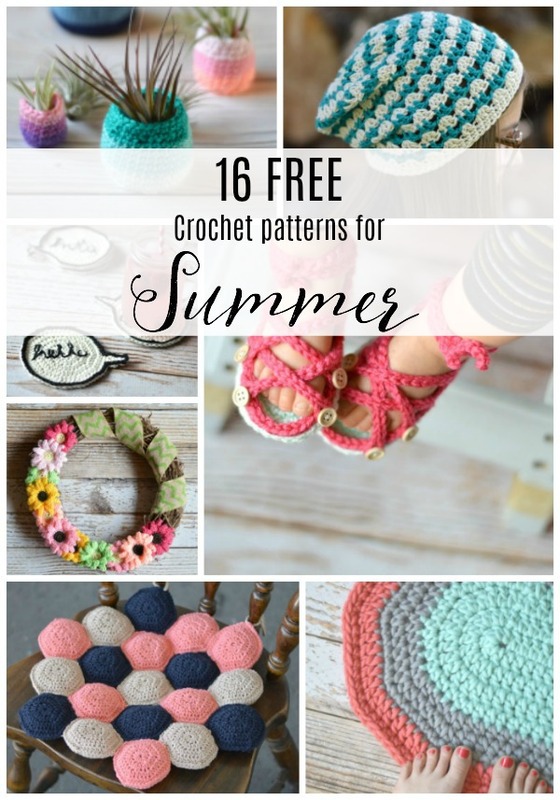 Want more crochet summer fun? Try these! 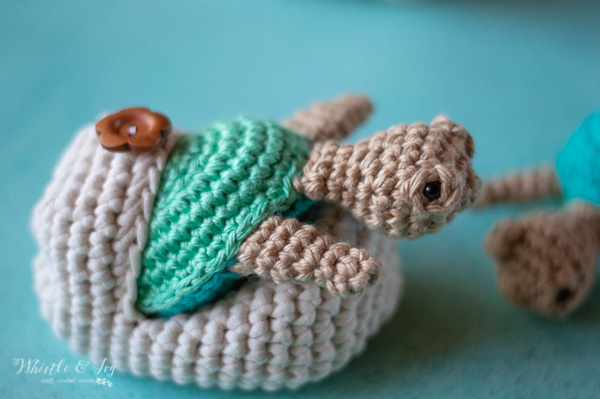 Love these crochet hatching turtles ? Subscribe! 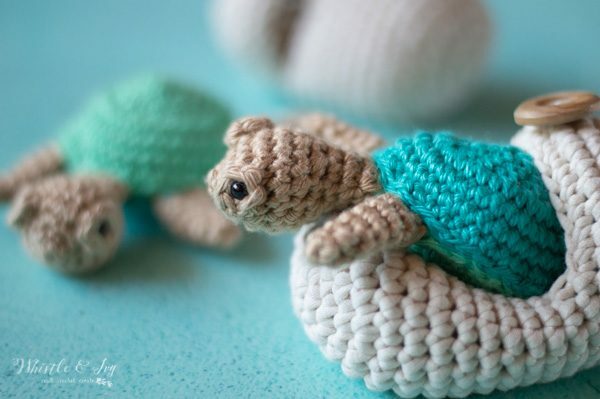 Where can we find the pattern for the crochet hatching turtles ? I link to it a few times in the post! One is right under the Crochet Hatching Turtles heading. It’s a pattern on Etsy, be sure to use the provided coupon code! It’s a coupon for etsy :) I have provided a link to her shop in the post.